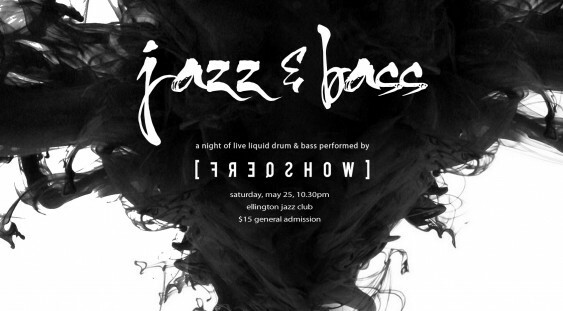 Freqshow return to the Ellington Jazz Club for the upcoming edition of Jazz & Bass. Enjoy renditions of groovy, jazzy liquid Drum & Bass music played live by a 7 piece band without the use of sequencers or automation. Jazz & Bass has become a highly anticipated, staple event with consistently high turnouts so avoid disappointment by grabbing a ticket early!